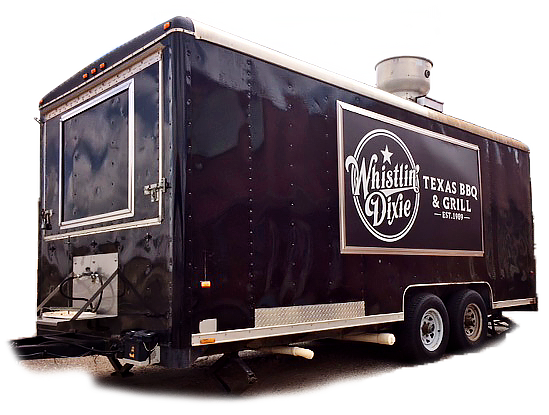 Whistlin’ Dixie BBQ is back! Stop by our Food Truck and place your order for Award-winning, slow-smoked BBQ favorites from brisket to pulled pork. Open every day from 11:00 am until we run out of BBQ, so come early! 6oz. of any of our smoked meats with your choice of side item, Honey Wheat roll and 32oz drink! Two 4oz servings of any two of our smoked meats with your choice of 2 side items, Honey Wheat Roll and a 32oz drink! 6oz. of any meat on our famous WD Honey-Wheat bun! With your choice of side and drink! ...or until we run out!